In the year 1122, Lady Katherine Stanfield’s husband, William Norris, is murdered. Heavy with child, Katherine does not grieve for her detestable husband and soon gives birth to twins – a boy who lives and a girl who dies. Ranulf, a cruel and ambitious Lord invades Stanfield keep to wed Katherine and bring Stanfield under his control. She gives her surviving son to her maidservant and Commander Sir Guy to hide and then flees to her former betrothed, De Lauren, for help. Still embittered at not knowing why Katherine broke off their betrothal to wed Norris, De Lauren insists she must marry him. He then sends a small army to recapture Stanfield keep and discovers the brutal massacre of its inhabitants. Inside, De Lauren discovers that Ranulf decapitated Katherine’s dead daughter and buries her. 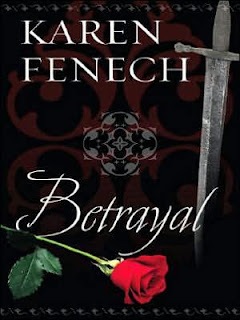 While Katherine and De Lauren rediscover their love for each other, Ranulf plots to murder De Lauren with poison and makes it appear as if Katherine is guilty. Secrets long buried are revealed as Katherine desperately tries to protect the lives of her son and husband. This is a fast-paced medieval tale that keeps the reader riveted until the very last word.